When I see testers showing the GTX 1080Ti along with the new Ryzen 3 lineup, I wonder where all the sense has gone in the PC hardware market. The Ryzen 3 Processor is a budget 4 core option aimed at gamers looking to build an affordable system. It isn’t meant to be used with a $1,000 GPU. Yet you might be surprised at just how much the Ryzen 3 can handle. So, if you’re looking to build a budget gaming PC and thinking about the Ryzen 3, here are a few graphics cards to consider. What Graphics Cards does the Ryzen 3 Bottleneck? Before we begin, it’s important to understand where the big bottleneck actually starts. For the most part, we’d say that this starts around the level of the GTX 1070. There are a few games where the GTX 1070 will continue to give you performance; however, these are few and far between. So, anything below that and you’ll be good. For the GTX 1070 and above, you’ll notice extreme bottlenecks in terms of gaming performance. The Ryzen 1200 and 1300X come in at $109 and $129 respectively. In-game performance is similar and especially when both are overclocked. 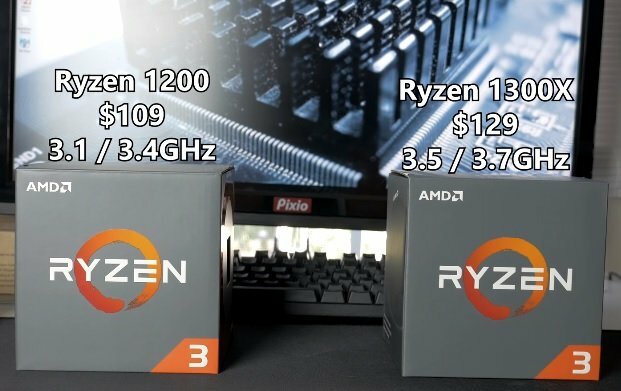 This is the price point where the Ryzen 3 1200 and 1300X really shines. The GTX 1050 Ti and RX 570 both do a great job in games and give you a solid graphics card CPU combo at under $300. The RX 570 will give you a bit more performance in modern games; however, if you’re just chasing 60 frames, spending the extra money might not be worth it. So that you know, an i3 will bottleneck the RX 570. We recently put together a $450 PC build that proved just that. So, Ryzen 3 is off to a great start in providing more performance here than you’d get with a similarly priced Intel i3. In fact, going with Intel here you’d likely have to spend an additional $60 to get something like an i5. A lot of today’s latest games still look fantastic in high or even medium settings. If you don’t care about a few extra details or shadows, or you play less demanding titles, then a card like the RX 560 or the GTX 1050 would be a fine choice. Putting these cards together with a Ryzen 3 processor keeps your GPU and CPU combo under $250. This allows you to build a gaming PC under $500 that’s capable of playing the latest games. Just grab an inexpensive B350 motherboard, 80+ power supply, and a case. So, which one should you choose? We’d agree with Gamers Nexus in saying that, for the most part, the GTX 1050 still beats the RX 560 in a majority of titles. So, unless DirectX 12 titles are all you’ll be playing in the near-distant future, the GTX 1050 is likely the best choice. If you can get a used RX 460 here you might be able to save a bit of money. And that might be the way to go for budget seekers. For those looking to build a PC, here’s an AMD Ryzen 3 PC build with the Ryzen 3 1200. In the under $250 price point, you have the RX 580 and the GTX 1060. Having seen the Ryzen 3 1200 alongside these two GPUs I’d say for the most part it does a good job. That doesn’t mean you won’t ever run into the occasional bottleneck; however, it does a good enough job that I wouldn’t hesitate to recommend it. In fact, if you pair either of these graphics cards alongside a Ryzen 3 processor you’re getting a fantastic CPU GPU combo for under $400. Something that’s very capable of current and future AAA games in 1080p. Those of you running at 1440p resolution should notice even less of an issue with this. Again Ryzen is saving consumers money here. An i3 at the same price point would certainly not handle either one of these graphics cards. And Intel will likely have to come up with an answer soon if it doesn’t want to lose market share. For the 580 and GTX 1060 you might want to go with whichever one you can get cheaper; however, if both are the same price, we’d still lean towards the GTX 1060 in most scenarios. AMD Ryzen R3 1200 vs 1300X with various Graphics Cards – Which to Choose? 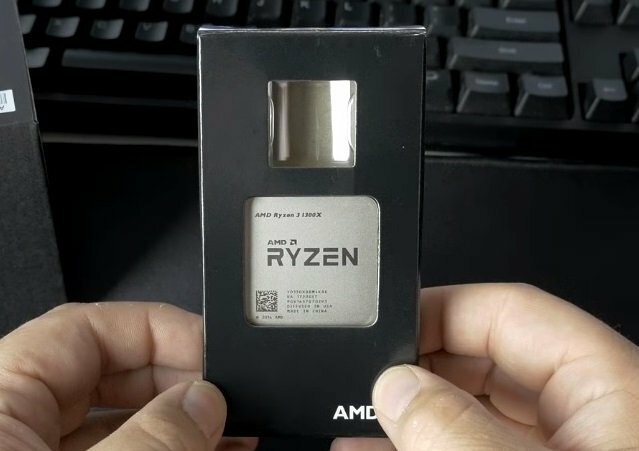 Thinking about getting a 1300X instead of an R3 1200? Here’s a video from Bitwit that tests six graphics cards with the 1300X and 1200. As you can see, the difference is minimal. So, if you’re just playing games, it might be advantageous to save a bit of money here and go with the R3 1200. Additionally, this video shows the Ryzen R3 bottlenecking at the GTX 1070. Ryzen 3 is a breath of fresh air that’s a move in the right direction for PC gamers looking for value. Rather than spending $100 to $120 on a processor that can handle around $150 worth of GPU you can now buy a Ryzen 3 processor that can handle around $250 worth of graphics card. Of course, the Ryzen 3 would likely do an even better job at higher resolutions with the additional weight on the GPU; however, it’s unlikely that those who have a $700 GPU would want to pair it with something that costs just $120. On the other hand, it’s a test we’d like to run in the future.